The Scorpio-Capricorn match is a spectacular one. Both signs are similar with similar approaches to life and similar needs in a relationship. When these two zodiac signs are in love, what springs forth is an exciting relationship with a shared resolve to progress. This couple is clear on their goals and there is little that can stop them. Scorpio and Capricorn are committed and value security in the relationship. This is a decent relationship as both signs are thoughtful, caring, reserved and kind, with not much time for the superficial and trivial in life. 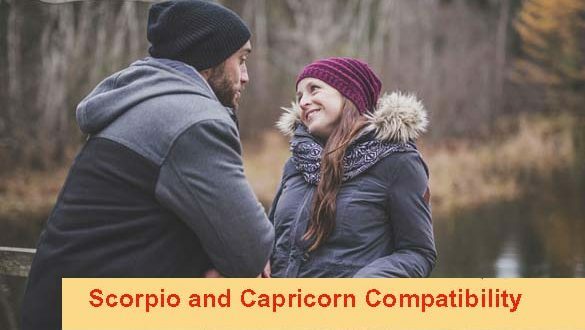 The Scorpio-Capricorn relationship is a serious relationship with many indications of being a very long-lasting and fulfilling partnership as long as neither partner does anything deceptive. They both are signs that “can do bad all by themselves” and achieve a lot on their own; however, together they can move mountains when they direct both their energies to a singular purpose. The Capricorn Male: The Capricorn man is very loyal, physical and passionate. Underneath his cold unemotional exterior lies a deep yearning for love but it somehow always eludes him as he does not trust easily. The Capricorn Female: The Capricorn woman is classy, conservative, loyal and practical. Like her male counterpart, on the outside, she seems not to give a hoot about love. Deep inside, however, it is another story as she is romantic and loving. She is also a bit traditional and so likes to be courted as a lady. The Scorpio-Capricorn match is one in which both signs really understand each other and their partner’s needs. They rarely have conflicts on most issues and both partners seem to intuitively know how to keep the other happy while not sacrificing too much. Sometimes, too much of a good thing actually is bad- both signs have a strong sense of independence and dominance which would lead to power and leadership tussles within the relationship. Capricorn will not budge and Scorpio will not enjoy being dominated; as a result, Scorpio will rebel against Capricorn. Over time, this will be resolved as both signs realize that they are at their best when they view each other as being equal in the relationship. Scorpio will also need to teach Capricorn to open up his/her heart as Scorpio craves deep emotional connection while Capricorn, on the outside, seems aloof, detached and unemotional. Scorpio and Capricorn have strong sexual compatibility. This is a match that has every indication of being a very strong long-term and fulfilling relationship.